The best fish of the week at Rutland Water was a 4lb 12oz Rainbow taken by Richard Cooper of Stamford. Richard took this fine specimen whilst fishing in the Tuesday Night Boat League. Phil Welbourne, a season ticket holder from Deeping, weighed in a 4lb 11¾oz Rainbow – this was part of a twelve fish haul he shared with Grimsby angler Mick Atkinson when the pair fished the rudder last Saturday. They had to change lines at regular intervals to keep things going, ranging from fast glass intermediates down to Di7’s. Phil and Mick started off down the North Arm and finished off in the main basin. The best Brown of the week fell to John Phelps from Fakenham. Jon’s fish weighed in at 4lb 1oz. A mixed week with anglers having good sport Monday to Wednesday then picking up again at the weekend. Boat anglers have had the best sport in many areas of the reservoir, particularly around the aerators, with some boat anglers taking fish with drifts onto Fantasy Island. Bank anglers have had the best sport in the evening. For anglers who prefer floating lines with nymphs and dries the bottom of both arms and off Yellowstones provided good sport. This is where Tuesday Night boat league angler Ady Naylor managed a quick eight fish limit in the space of less than two and a half hours, to take this week’s match. Earlier in the week the North Arm was the place to be, then on Thursday the South Arm provided good sport for Anglian Water’s Andy Ainscough and Robbie Winram who used dries to good effect off Hideaway Bay and along the bunds wall. A group of holidaying anglers from North Wales enjoyed a successful trip to Rutland last week, with plenty of fish during their stay with the main basin producing most of the action. Bank anglers venturing out in the evening had the best of the bank sport. Oakham’s Toff Crowther fished last Saturday and noted a number of fish on the surface in the North Arm shallows. Toff frustratingly hooked three fish but all managed to throw the hook during the fight. It is with sadness that we report the passing of Stuart Young. Stuart worked as a part time warden at Rutland for a season and was a season ticket holder. He also assisted the England Youth Team. Stuart loved his floating line and nymph fishing at Rutland. Victory went to Adi Naylor of Uppingham with eight fish in a very quick time fishing down the South Arm off Yellowstones. At this time of year the boat league is usually fished around the reservoir aerators with stripping lures back on sinking lines. This week a show of hands produced a unanimous decision for the aerators to be out of bounds for the night. Some anglers opted for the North Arm with others heading to the Sailing Club and beyond. Best fish 4lb 12oz taken by Richard Cooper. The top slot is changing weekly with Richard Cooper overhauling Keith Jones to take the number one spot with his win. Richard now has 45 points with Keith in second place with 39 points, Adi Naylor moves up to third place with 37 points and Graham Hayward stands in fourth with 32 points. 2,000 more Rainbows were stocked last week at the Green bank, Whitwell Harbour, and the Sailing Club. This takes the season’s total to 57,300 which includes 4,000 Browns. Stocking continues this week with a further 4,300 Rainbow going into the water. Despite the abundant food fish are not feeding heavily. They appear to be feeding on corixa, pinfry, damsel nymph and shrimp. Best methods Bank – Nymphs and dries (small fry patterns worth a try). Boat – as for bank but include sinking lines (various), mini lures, tubes, snakes. Best Rainbow 4lb 12oz taken by Richard Cooper of Stamford. Best Brown 4lb 1oz taken by John Phelps of Fakenham. Best bank areas Normanton, New Zealand Point to Sailing Club, Armley Wood to Barnhill Creek, Finches, Tim Appleton’s. 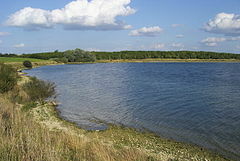 Best boat areas The main basin (aerators), fishing lodge frontage, Normanton shoreline, bottom of both arms (shallows). Mid week boat winner P F Otter of Headington, Oxford. Anglers at Grafham are enjoying plenty of good sport with a very good seasonal rod average of 4.02. 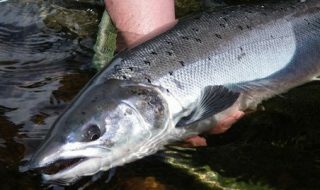 The best bank fishing has been on the Dam and Plummer Bank with floating lines with shrimp patterns and damsel nymphs the best methods. 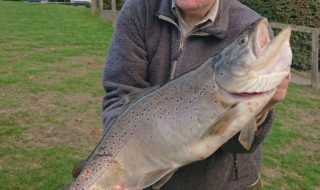 Boat anglers have had good sport this week from a number of areas – particularly the Willows, Hedge End, Rectory Bay, Boils, Dam, Valley Creek and A and G Buoys. The best boat methods have been to fish Di3 lines with fabs, tequila blob booby, GRHE and diawl bachs or floating lines with GRHE, cormorants, diawl bachs and damsel nymphs. 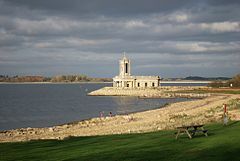 This match was fished on 13 July with six teams of six anglers fishing for a place in the International final at Rutland Water in early October. Pete Kempton’s 4lb 8oz Rainbow was the best fish of the match, Pete also took both the best bag at 26lb 8oz. He caught most of his fish on a midge tip line with four on a shrimp snatcher, three on fabs and one on a green cruncher just off Rectory Bay. Best boat areas Dam, Hedge End, Rectory Bay, Valley Creek, Willows, A & G Buoys, Boils. Mid Week Boat Winner Malcolm Wright of Cambridge. Beginners courses 19 and 23 July; 2,9 and 23 August; 6,16, 20 (Pike) & 25 September; 3 & 18 October. A number of anglers have recorded some good fish at Pitsford Water this week. Bob Collins, Brian Lloyd, George Hackett and Nick Nicholson have all caught beautiful 4lb plus Browns with Bob and Nick also taking Rainbows of 4lb plus. Peter Proctor took a 4lb plus Rainbow which he released. This fish was caught on a yellow/olive small damsel which Peter tied himself. Simon Ashton was beaming when he came off the water on Sunday with a 4lb 8oz Rainbow – the best he has caught so far this season, as well as bagging up with seven other Rainbows. The weather has been unsettled this week but our anglers continue to achieve a good rod average with great quality and good sized fish being caught from the bank and boat. The Gravels continues to fish well and the fish are still in to the bank and within the top three feet of water. Good sized fish have also been found in Sailing Club Bay and the Flats. It has been generally fishing better during the day than in the evenings but as we all know feeding patterns change with the weather. Pitsford welcomed a group of predator anglers who fished from kayaks, catching several pike and perch all over the reservoir. Chris Rolfe had a great day predator fishing off the dam wall and caught some good sized perch. Best boat areas The Gravels, bog Bay, Stonebarn Bay, North Farm Bay, Brixworth Bay, Sailing Club Bay. Best bank areas Northfields shore, Stone Barn Bay, Gravels, Duffers, Stilton Point, Gorse and Cliffs. Mid week boat winner Max Lickfold from Olney. Beginners courses 25 & 31 July; 8 & 22 August; 4,9,19 & 26 September; 11,17 & 25 October. Anglers have enjoyed good sport at Ravensthorpe this week. The fish are high up in the water and feeding on nymphs and dries. Best methods have been floating lines and diawl bachs or crunchers, fished washing line style or floating line with dries, hoppers, cdc’s, klinkhammers or small daddies, from a drifting boat. The best spot for bank anglers is the Dam. Steve Holton and his boat partner caught 22 fish on small dries, drifting across the main bowl. The best fish of the week was a lovely 7lb plus Rainbow taken by Keith Bowen on Thursday evening. Keith then went on to win the evening boat club catching 10 fish on diawl bachs. Mick Griffin was second with five fish and Ray French took third place with two fish. Best Rainbow 7lb plus taken by Keith Bowen. Mid week boat winner Roy French of West Hunsbury.